Imbued with the collective memories of Romanian culture, Andra Ursuţa’s body of work uses her grim past to tackle the harshness of our present reality. With a sensibility that is both humorous and gloomy, the artist culls images from her childhood and homeland and confronts early experiences of fear and death; these personal and cultural histories shape her sculptures, paintings, and installations. Whether vulgar or domestic, her examinations create an alternate universe where the aftermath of trauma is sometimes as funny as it is tragic. 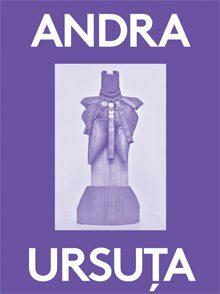 Part of the 2000 Words series, conceived and commissioned by Massimiliano Gioni and published by the DESTE Foundation for Contemporary Art, 2000 Words: Andra Ursuţa includes an essay by Ali Subotnick that examines Ursuţa’s stark re-creations of cultural and historical turmoil.